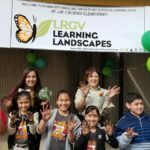 LRGV Learning Landscapes helps the school districts expose students and teachers to native habitat through the creation of schoolyard habitats. By involving students in planting native plants into their landscapes, students observe the interactions of habitat and wildlife on their campuses on a daily basis and promote an appreciation of nature. 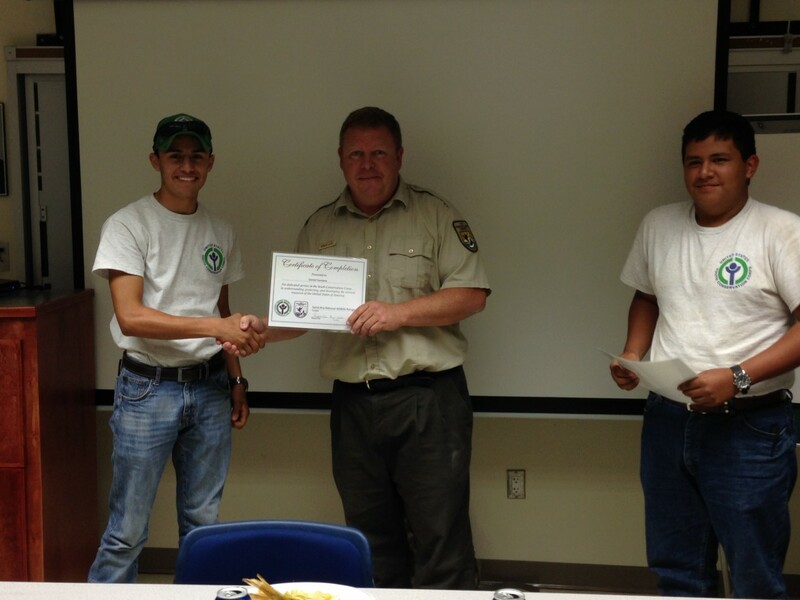 The program provides curricula that highlights local flora and fauna as a way to increase the knowledge about native habitat and wildlife and learn to respect the habitat. The program provides training workshops for teachers, grounds crews, and project administrators to overcome existing barriers. Training ensures the sustainability of the project within the district.. The program demonstrates the investment benefits of planting native trees and how they appreciate in financial value as they mature. The program encourage the participation of all school districts in the LRGV. The Learning Landscapes program has been recognized by Texan by Nature and its founder, former first lady Laura Bush. 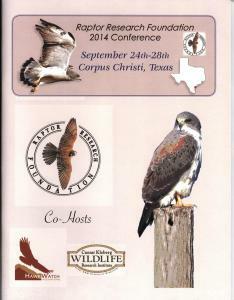 The Friends of the Wildlife Corridor is a partner in the Lower Rio Grande Valley Learning Landscapes Collaborative. See the Texan By Nature page on the LRGV project. 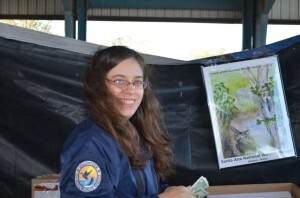 During 2014 the Friends of the Wildlife Corridor helped as needed to pay the salaries of various interns for the Santa Ana NWR and the Lower Rio Grande Valley NWR. Kevin Thompson, who dispatched calls for fire, law enforcement, all employees, and volunteers of the Refuges. Cristina De La Garza, who worked behind the counter at the Visitor Center. This year’s annual Raptor Research Foundation’s 2014 Conference was held in Corpus Christi, Texas September 24th-28th. 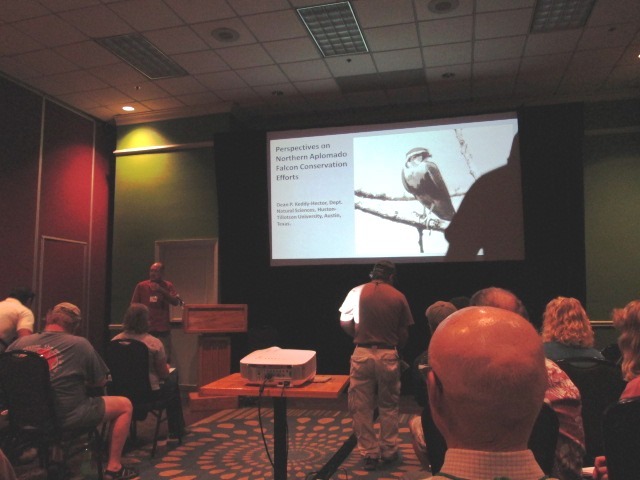 The Friends of the Wildlife Corridor helped fund the attendance of Chris Perez, USFWS Biologist to collaborate and communicate with conservation professionals across the globe. This was an opportunity to learn about current raptor conservation issues and meet the people involved in issues that affect us here at home. Chris also shared our conservation concerns in the Valley. A 501(3)(c) non-profit organization, the Friends of the Wildlife Corridor is committed to purchase and temporarily hold land until the Lower Rio Grande Valley National Wildlife Refuge can officially acquire it. Toward that end, FWC raises money for land acquisition, and its land acquisition fund is ready to use whenever strategic tracts of land become available for sale. The Land Acquisition fund is the most important asset of the Friends of the Wildlife Corridor, which has an ongoing project grow this fund. 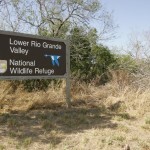 The Lower Rio Grande Valley (LRGV) is one of the most biologically diverse regions in all of North America. In the four -county region that includes the LRGV National Wildlife Refuge, more than 95% of native habitat has been lost to agricultural and urban development, and much of what remains is within the Refuge. 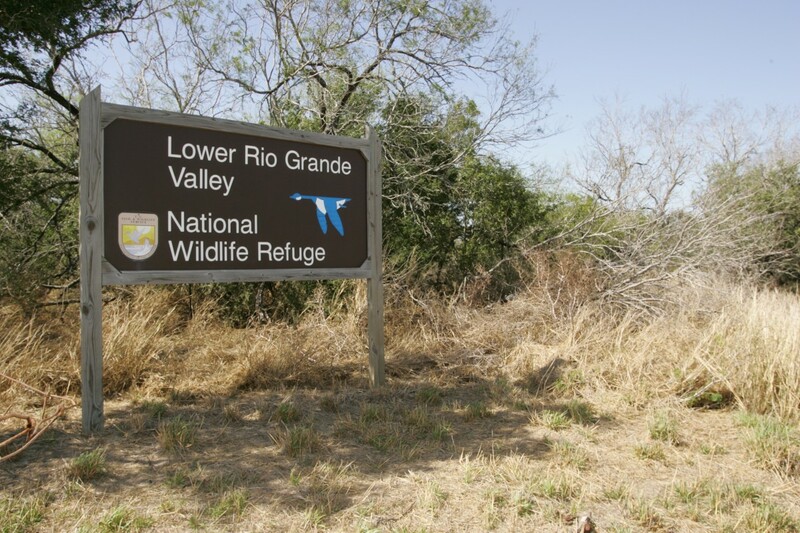 The Valley is one of the fastest growing regions in the United States, increasing the urgency and importance of the creation and completion of the Lower Rio Grande Valley National Wildlife Refuge. The Valley is also one of the economically poorest regions in the country. The Refuge’s mission is to create a wildlife corridor linking habitat fragments along the Rio Grande and throughout the Rio Grande delta region. The Refuge currently consists of more than 100 separate tracts of land. Some of these tracts are fallow farm fields and were purchased because they connect healthy habitat that can become travel corridors for wildlife. 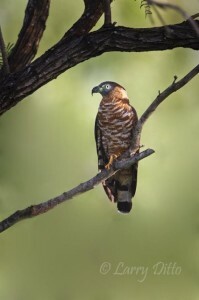 Creation of this corridor benefits the unique wildlife of this subtropical region, including 17 federally listed threatened, endangered, and migratory species such as the ocelot and jaguarundi. More than 530 species of birds, about 40% of all North American butterfly species (330+ species), and 1,200 plant species occur in the four-county project area. Creation of the corridor also benefits the region, which has a growing ecotourism industry. In 2011, non-consumptive nature tourism in the LRGV, which includes some of the poorest counties in the US, was $460 million. The Refuge currently owns about 7,600 acres of cropland and will acquire an estimated 30,000 more farmland acres to complete its land acquisition goal. 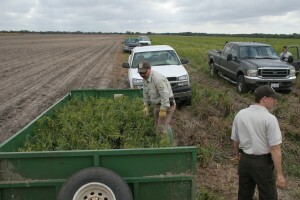 This program was initiated in 1984 to restore native habitat on cropland acquired by the Lower Rio Grande Valley National Wildlife Refuge to form a wildlife corridor linking habitat fragments along the Rio Grande and throughout the Rio Grande delta region. Creation of this corridor benefits the unique wildlife of this subtropical region, including endangered species such as the ocelot and jaguarundi. 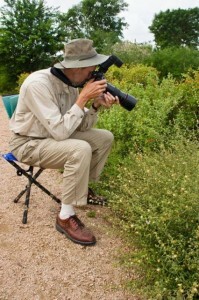 More than 530 species of birds and about 40% of all North American butterfly species (more than 330 species) occur in the four-county project area. Wildlife viewing and other forms of ecotourism contribute more than $100 million per year to the local economy. In 2015 the program was expanded to cover the three refuges of the South Texas Refuge Complex: Santa Ana, Lower Rio Grande Valley, and Laguna Atascosa National Wildlfe Refuges. 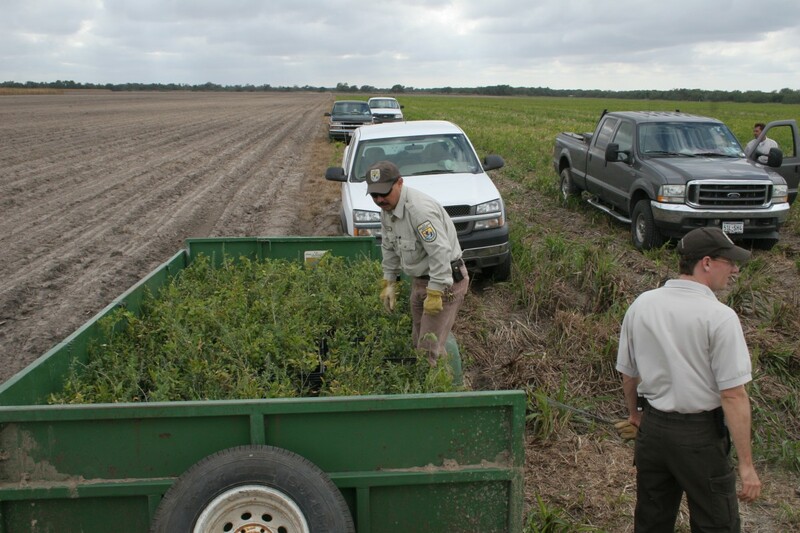 Each year, 300 to 500 acres of Refuge cropland are re-vegetated with at least 600 seedlings per acre of up to 60 species of native trees and shrubs. 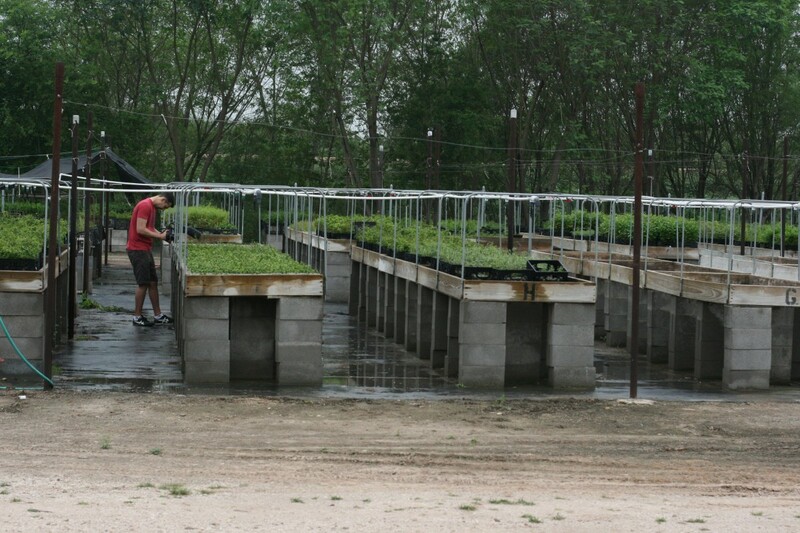 All seeds used to grow seedlings are hand collected within the project area (the four southernmost counties of Texas). 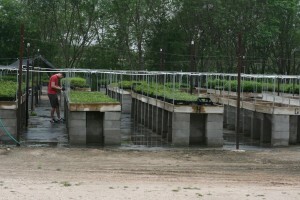 Species are carefully selected to match the soils, hydrology and other location factors of each site. In 2017 this program planted 218,000 native trees and shrubs on 250 acres of reclaimed cropland at a cost of more than half a million dollars. Much of this work is funded by foundations that provide grants to support this outstanding environmental project. Major funders include American Forests, The Conservation Fund, Apache Corporation, and Arbor Day Foundation. The current focus of the program is to enhance habitat in direct support of the Ocelot Recovery program and improving connectivity of refuge tracts for the passage of wildlife along the Rio Grande River. Re-vegetation will include augmentation plantings among existing vegetation to improve species diversity and overall density, conversion of cropland to native brush, and plantings in areas affected by wildfires. Estimated cost for this project in 2014 is $81,000. 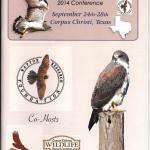 The Friends of the Wildlife Corridor raises funds for this program. 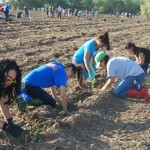 Rio Reforestation uses approximately 1,000 volunteers to plant native tree/shrub seedlings on tracts of land acquired for the Santa Ana and Lower Rio Grande Valley National Wildlife Refuges, tracts that had been previously stripped of their native habitat for purposes of agriculture or other development. 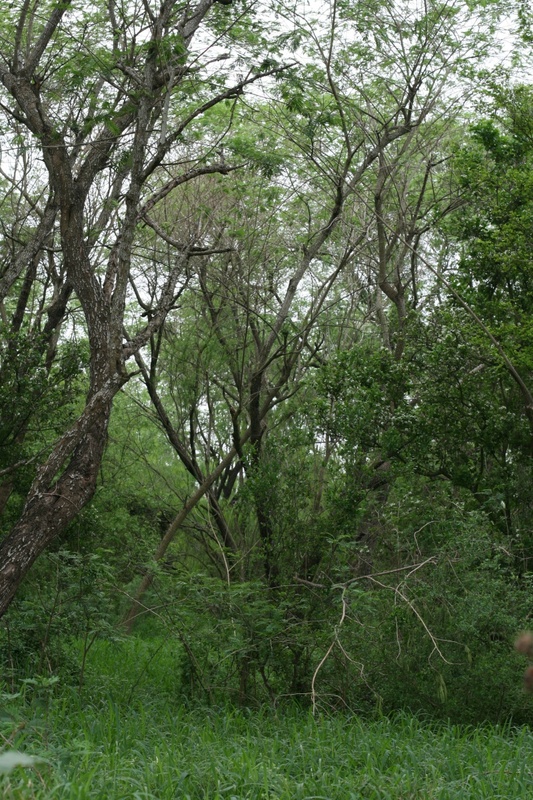 Once reforested, these tracts of land form a wildlife corridor that will eventually extend along the final 275 Rio Grande river miles, connecting isolated tracts managed by private landowners, non-profit organizations, the State of Texas, and three National Wildlife Refuges (Laguna Atascosa, Lower Rio Grande Valley, and Santa Ana). The corridor will provide habitat for compromised species of birds and animals native to and migrating through this area, and it will ensure survival of natural plant diversity in this region. 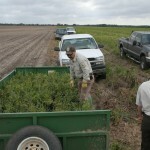 Since 1994 volunteers have helped replant nearly 600 acres. 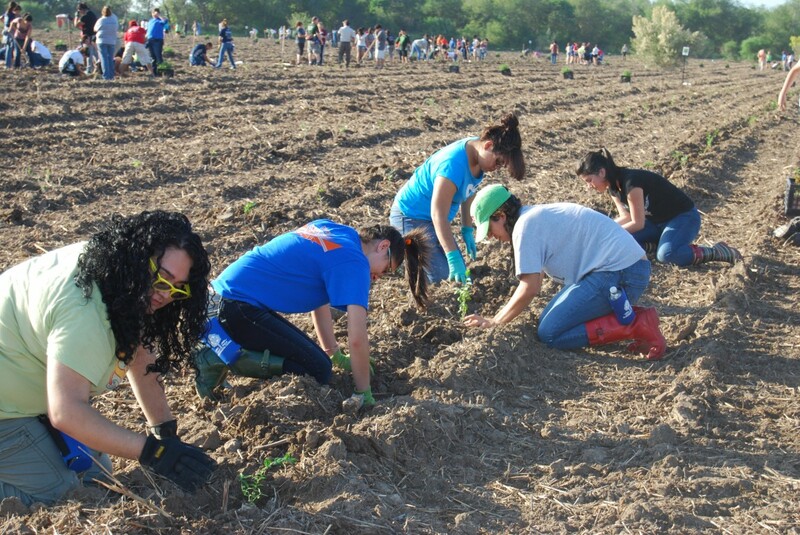 Occurring once a year, usually in October, Rio Reforestation is one of the most important environmental events in south Texas. The Friends of the Wildlife Corridor raises funds for this program. 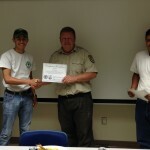 The Youth Conservation Corps is an eight-week summer employment program for young people aged 15 through 18. 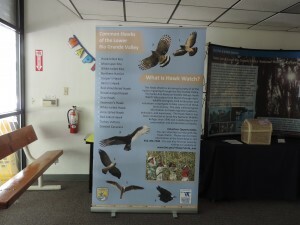 The program is administered by the Department of the Interior and other federal agencies including USFWS. 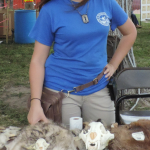 The purpose of the YCC program is to provide meaningful employment for youth of all social and ethnic backgrounds, and provide the young employees an opportunity to perform public lands conservation work and learn about the natural environment. The youth completed a wide variety of projects and duties under the supervision of Refuge staff. In turn, refuge staff members provided YCC employees valuable training sessions in outdoor, water and fire safety skills, CPR and Environmental First Aid, and “leave no trace” environmental practices. 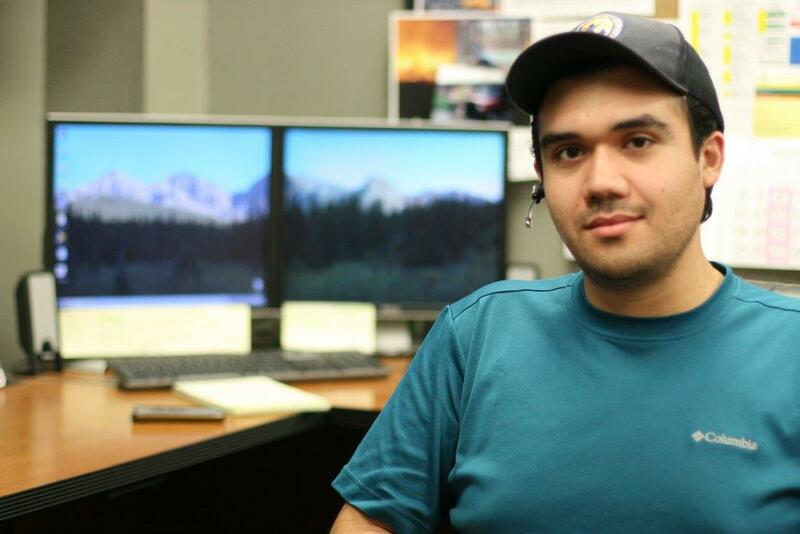 In the summer of 2014, SANWR hosted two YCC employees. 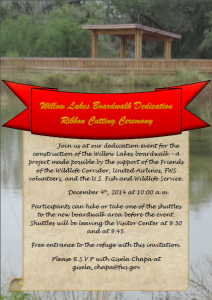 The Friends of the Wildlife Corridor helped support this program by contributing to a farewell celebration. 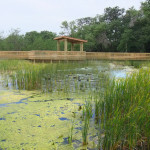 This project built a boardwalk and wetland viewing overlook on the edge of Willow Lakes in the Santa Ana National Wildlife Refuge, allowing expansion of the lake, increasing capacity of the wetland to support birds and other wildlife, and expanding public understanding of wetlands by giving visitors, including teachers and their students, safe access for observation. 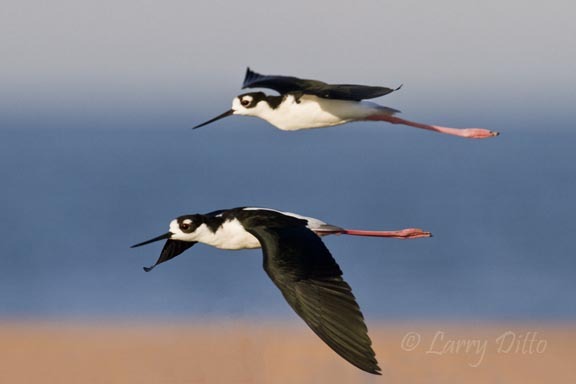 A premier birding location, the Refuge protects native habitat in a region where more than 95% has been cleared for ranching, agriculture, and urbanization. 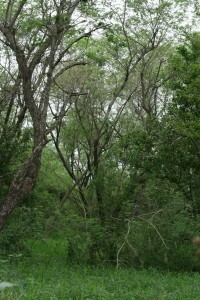 Wetlands are particularly critical in this arid area (less than 26 inches per year of rain). 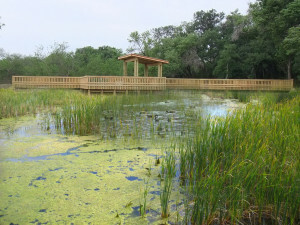 As well as allowing an increase in the size of the wetland by at least 20,000 square feet, the project lets visitors view wetland bird activity and enhances school lesson plans and field trips for the many school districts (more than 15 in Hidalgo County alone) within day-driving distance of the Refuge. Estimated cost of this project is $54,505. 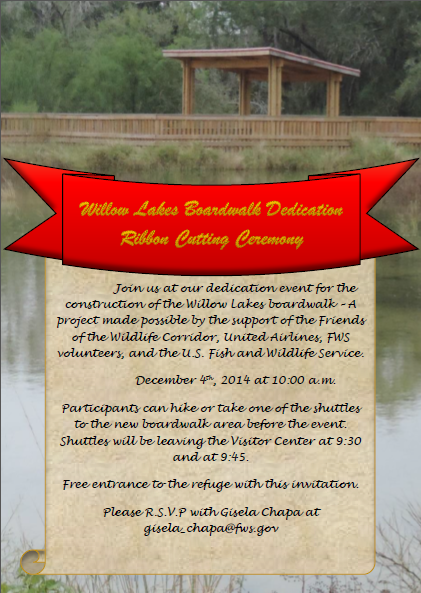 The Friends of the Wildlife Corridor raised funds and provided volunteer labor for this project. 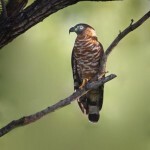 Supported by the Friends of the Wildlife Corridor, the annual Santa Ana National Wildlife Refuge Hawk Watch occurs from March 15 to April 15, every day from 7 am to noon, and it has been hosted by the Refuge since 1990. It is overseen by a USFWS staff member (the Assistant Refuge Manager) but is operated entirely by volunteers. The Refuge provides an RV site for the lead volunteer, trains all volunteers in advance of the event, hosts and end-of-hawk-watch celebration, and invites Refuge visitors to participate. In 2012, More than 750 volunteers participated in the Watch. 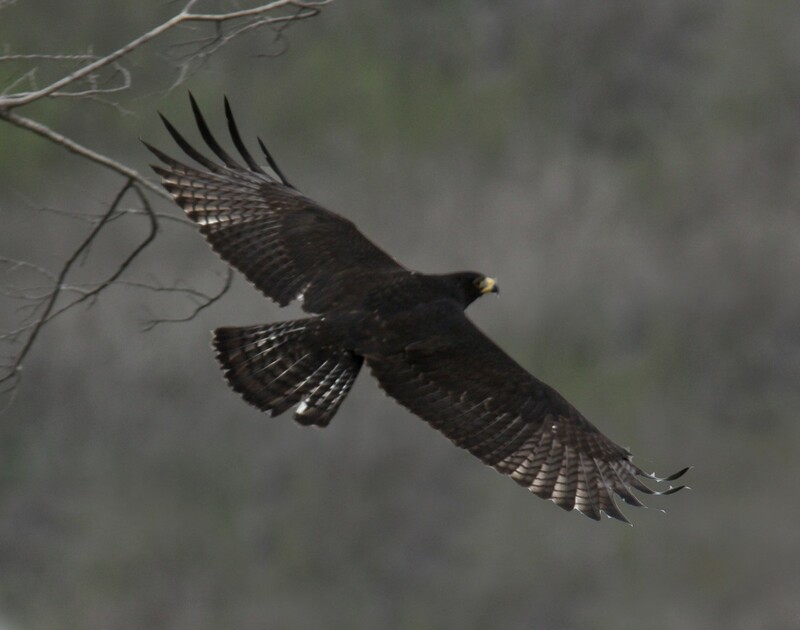 Develop and produce a display for the visitor center focusing on the ecology and conservation needs of raptors. Develop an easily produced (copy machine) handout for interested visitors providing information on hawk migration flyways and ID tips. Cost of this project was $5,000. 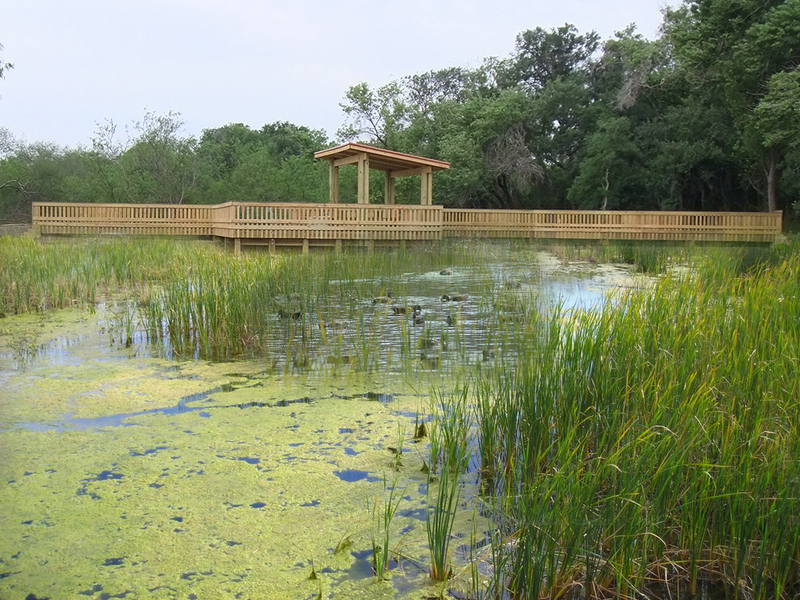 The Friends of the Wildlife Corridor raised funds for this project.